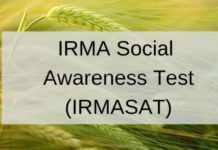 IRMA- The Institute of Rural Management Anand (IRMA) conducts entrance test IRMA Social Awareness Test (IRMASAT) once every year. IRMA accepts scores from CAT/ XAT and IRMASAT for admission to their Postgraduate Diploma in Rural Management (PGDRM) and Fellow Program in Rural Management (FPRM). Application form for IRMA is made available in an online and offline mode. PGDRM is a two-year fully residential programme leading to a Postgraduate Diploma in Rural Management (PGDRM). PGDRM is recognized as equivalent to a Master’s degree in Rural Management by the Association of Indian Universities (AIU) and is approved by the All India Council for Technical Education (AICTE). Candidates interested can go through our page for further details concerning IRMASAT eligibility, exam pattern, and so on. The Institute of Rural Management Anand (IRMA) invites application from candidates who are desirous of choosing a career in the discipline of rural management. Availability of IRMASAT application form can be done both online from the official website or in person from the IRMA Admissions office. Applications must be submitted within the stipulated time period. Any application submitted afterward is not be accepted by IRMA. Willing applicants must understand that before applying for IRMA, they must cross-check their eligibility criteria. The eligibility criteria as issued out officially for PGDRM and FPRM are given separately for the convenience of the applicants. Qualification – The candidate must have Bachelor’s degree from any discipline. Qualification- The candidate must possess a Bachelor’s degree in any stream from a recognized university. Exam- Candidates must have appeared for CAT or XAT as given in the year of examination. Qualification- The candidate must possess a PGDRM from IRMA or Post Graduation or 4 year professional degree courses like engineering, agricultural science, etc. Percentage- A minimum of 55% (at PG level) and 50% (at graduation level). The IRMA Anand exam is usually conducted in the second month of the year of examination. The exam is conducted in an Online Mode. The examinees will be required to attempt 40 Multiple choice questions in 80 Minutes. The question paper is in English Language. For each correct answer, the candidate may be awarded 1 mark. There will be a Negative Marking of ¼ marks for every incorrect answer. Sample Paper: Click here to download IRMASAT 2018 Sample Paper. The selection process for IRMA- PGDRM is a four-step procedure. Firstly, candidates have to appear for CAT/XAT before the yearly entrance exam of IRMA. CAT/XAT score should not be later than the previous year from the date of current IRMASAT entrance examination. IRMA will use CAT/XAT and IRMASAT scores for admission to PGDRM. The second stage would be appearing for IRMASAT. 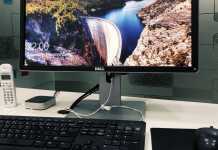 The third stage would be Group Activity and Personal Interview. Candidates here will be shortlisted on the basis of aggregated Stage I and Stage II scores. PGDRM participants are to be selected on the basis of the above mentioned Admissions Test, Group Activity, and Personal Interview. It is compulsory for applicants to appear for CAT/ XAT and “IRMASAT” of IRMA. Applicants from NRI / NRI sponsored applicants / Foreign Nationals / Persons of Indian Origin (PIO) / Children of Indian Workers in Gulf Countries and Overseas Citizen of India (OCI) may apply through GMAT/ GRE Scores (taken on or after January 2014) / CAT / XAT scores for PRM. Applicants would be shortlisted on the basis of above mentioned test score and Online Personal Interview. Note: IIMs and XLRI have no role either in the selection process or in the conduct of the programme of IRMA.